Living in New Zealand means that you’re never too far away from a beach, leafy nature trail or humming metropolitan centre. The country is known for being “100 percent pure”, and New Zealand residents generally enjoy lower pollution, congestion and spatial pressure than residents of many other island-nations around the world. The Maori people are the indigenous peoples of New Zealand and have a rich culture that is intertwined in the history of the nation as well as the everyday lives of residents. New Zealanders are also known to be avid sports fans, with rugby union, soccer and netball attracting large and loyal followings. New Zealand offers a diverse range of options for property buyers, with family homes, duplexes, townhouses, terraces and apartments all available at relatively affordable prices across the nation. The majority of New Zealanders are of European descent, followed by Maori, Pacific Islanders and Chinese. These groups are evenly spread geographically, creating large multicultural communities throughout the country. In March 2013, the Bank of New Zealand (BNZ) released research showing that approximately nine per cent of dwelling sales within New Zealand were to foreigners. Eighteen per cent of these purchasers were from the United Kingdom, 15 per cent were from China, and 14 per cent were from Australia – followed by buyers from Asia, European countries (excluding the UK) and South Africa. 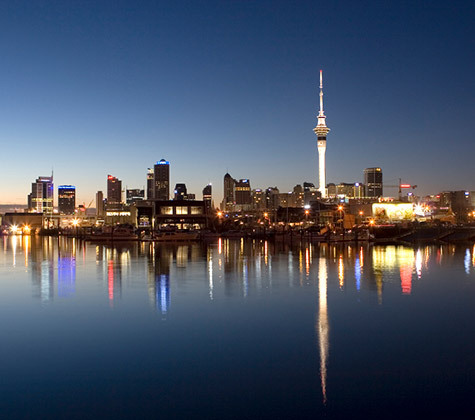 As the largest city in New Zealand, Auckland attracts a large amount of interest from foreign buyers. Separated geographically by two harbours, the city offers a mix of lifestyle and opportunity that turns many visitors into residents. Strong investment opportunities can also be found further south in towns such as Dunedin, with has a large student population, and Christchurch, which is experiencing a boom in construction following the earthquakes of 2011. The New Zealand Government currently places no major barriers on foreign ownership of real estate. For more information, please visit the Land Information New Zealand web site: http://www.linz.govt.nz/overseas-investment. Your CENTURY 21® Agent will be able to assist you in understanding the home buying process. Please seek professional advice from a qualified lawyer and tax adviser before attempting to purchase real estate in New Zealand.